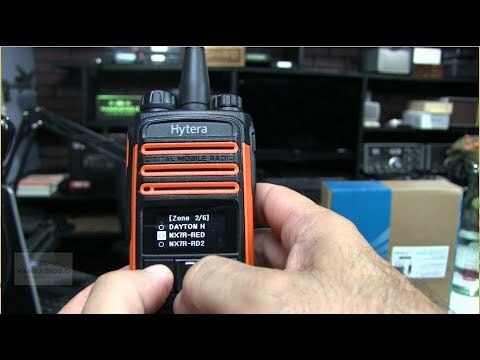 This is a new DMR HT from Hytera made for the Amateur Radio Community. In this episode I will show the menu of the radio and the CPS software, and key up a local DMR repeater . User Friendly Design: The large-size color display allows good visibility even under extremely strong light. The globally patented industrial design and antenna design ensure convenient operation and remarkable GPS performance. Rugged & Reliable: Complies with MIL-STD-810 C/D/E/F/G standards. The Ingress Protection reaches IP67 (6: Totally protected against dust; 7: Protected against the effects of immersion up to 1m for 30 minutes). It’s the highest IP level for land-based wireless radio application. Superior Voice: With the adoption of the AGC technology in combination with the application of narrowband codec and digital error correction technologies, The PA7 Series radios are capable of ensuring yourvoice is clear and crisp even in noisy environments or at the edge of the coverage area. GPS Positioning: The PA782G supports viewing of GPS positioning information and sending of GPS text message.